Judi Lewis Ockler is an intimacy/fight director, variety performer, stunt performer, and teaching artist. Credits include: HATEF**K (Adrienne Campbell-Holt, director; WP theater) UNDER THE OVERTURE (Gerard Alessandrini, director), A MIDSUMMER NIGHT’S DREAM (Tony Speciale, director; Classic Stage). 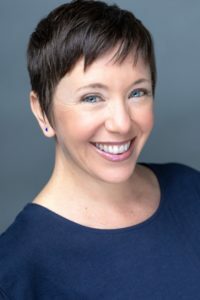 She is an Intimacy Director with Intimacy Directors International; she leads workshops in Intimacy for the Stage for actors and designers at Eugene O’Neil Theater Center, NYU Tisch, and The American Musical & Dramatic Academy, NYC.